Selectmen applaud efforts of department in light of union controversy. Members of the Oak Bluffs Fire/EMS Department made a show of unity in response to the International Association of Fire Fighters (IAFF) union meeting with town selectmen two weeks ago. At the selectmen’s meeting Tuesday, Deputy Fire Chief Shawn Broadly read from a prepared statement. 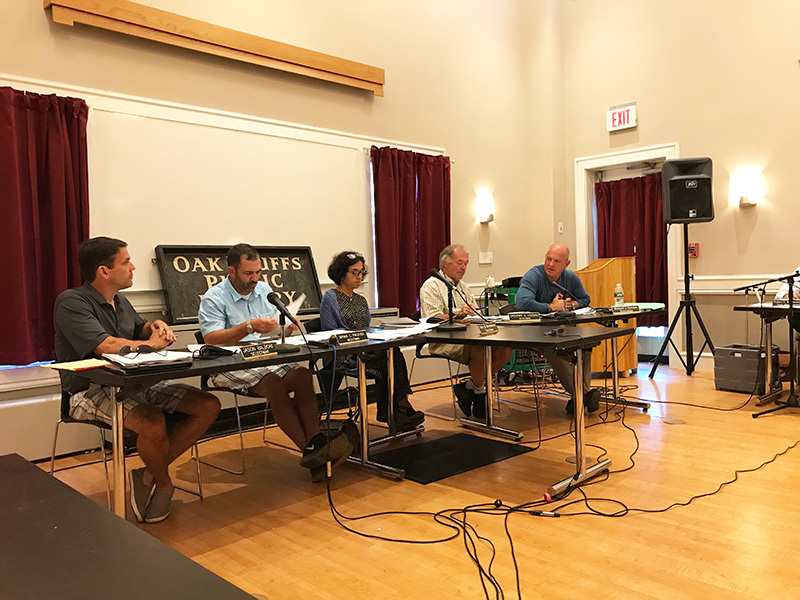 “We want all of our citizens and visitors to know that the town of Oak Bluffs has been protected by volunteers since the department originated. Most importantly, I want them all to know that we have and continue to be there always,” Broadly said. “We’re not here to stay home when there’s a call. We go out and help everybody, and everybody needs to know that,” Fire Capt. James Maseda said. “We’re here 24 hours a day, seven days a week, protecting this community. The people of this town need to understand that,” David Smith, another member of the fire department, said. “There isn’t a moment anyone of us ever questioned your dedication, or that this town is in any danger at any point,” selectman Mike Santoro, who acts as the representative of the fire department to the town, said. Santoro also said he and the other selectmen thought the IAFF came to the last selectmen’s meeting to discuss the union — which the selectmen support — but said the IAFF was “disgraceful” in its approach for going to the town’s senior center and telling seniors they were in danger. “We have nothing against the union. We support it. 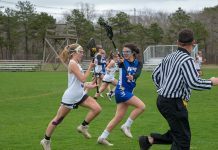 There is a process going on, but in the meantime our men and women, we are behind you 100 percent, and don’t you ever doubt that,” Santoro said. “We truly, truly, value your service,” chairman Gail Barmakian said as the meeting room broke into applause for the fire and EMS personnel. In other business, Dolores Borza met with selectmen to address permit issues regarding her tour business, Homegrown Tours, a tour bus company. Borza has been operating her tour business for the past three years on a livery license, which the town says needs to be changed to a tour license. Borza can give tours with either license, but for the type of tours the company is doing, a tour license is required. Borza will meet with selectmen again at their next meeting on August 14 to discuss a special permit for parking at a home business. The permit requires a public hearing. Kathy Laskowski, a representative of the Oak Bluffs citizen’s beach committee, read a letter to ask the town for more frequent beach raking, and to create two handicap parking spots, along with an additional ramp on Inkwell Beach. “We want to preserve the integrity of our beaches as an asset to the character of Oak Bluffs as a town, and the experience of our recreational beaches as an economic and human resource,” Laskowski said, reading aloud from the letter. Santoro said the town needs to address the matter with the conservation commission. Laskowski thanked the selectmen for hearing the beach committee’s requests. Town selectmen appointed Raphael Magri as the new “local inspector.” Magri is also a lieutenant at the Edgartown Fire Department. The local inspector is essentially an assistant building inspector, town administrator Bob Whritenour told The Times. The town has struggled to find someone to fill the position, but the selectmen feel they have settled on a prime candidate. “I’m optimistic Raphael is going to do a great job as our local inspector,” selectman Brian Packish said.